It's back on! Don't miss the most stylish pop-up concept selling pre-loved designer wear, bags and shoes for women and children at this exclusive private sales! 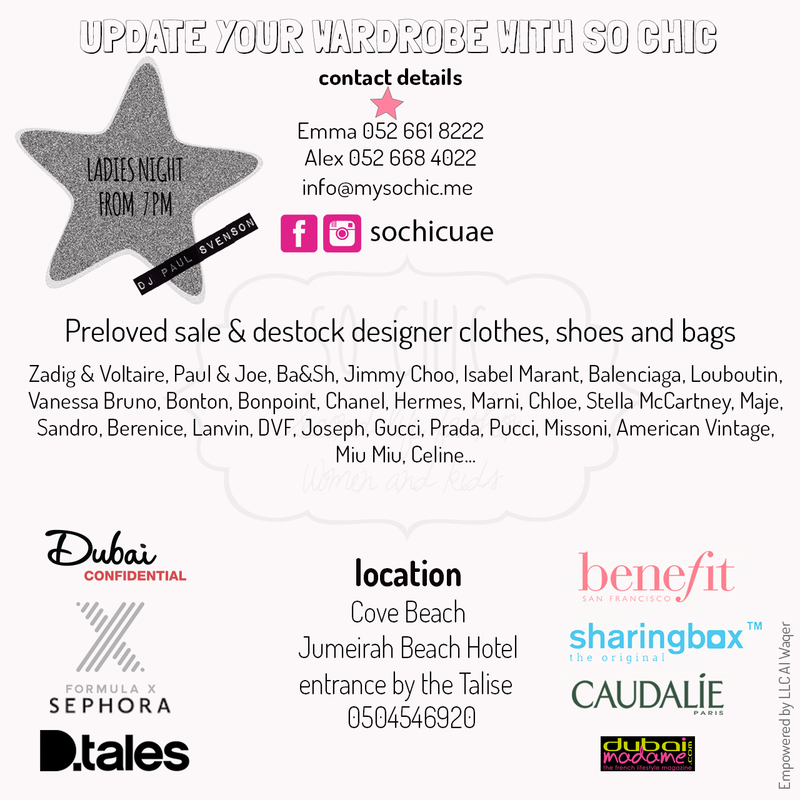 So Chic event is this Tuesday October 6th at Cove Beach. You don't want to miss the selection of pre-loved designer wear like Chanel, Hermes, Chloe, Balenciaga, Louboutin, Givenchy, Isabel Marant, Celine, Paul & Joe, Vanessa Bruno, Bel Air, Ba&sh, Zadig et Voltaire, Les Petites, Petite Mendigote plus Bonpoint and Bonton for the kids. So Chic carries the largest selection of fashion treasures from the most stylish wardrobes in the region and the best designer boutiques in Europe. 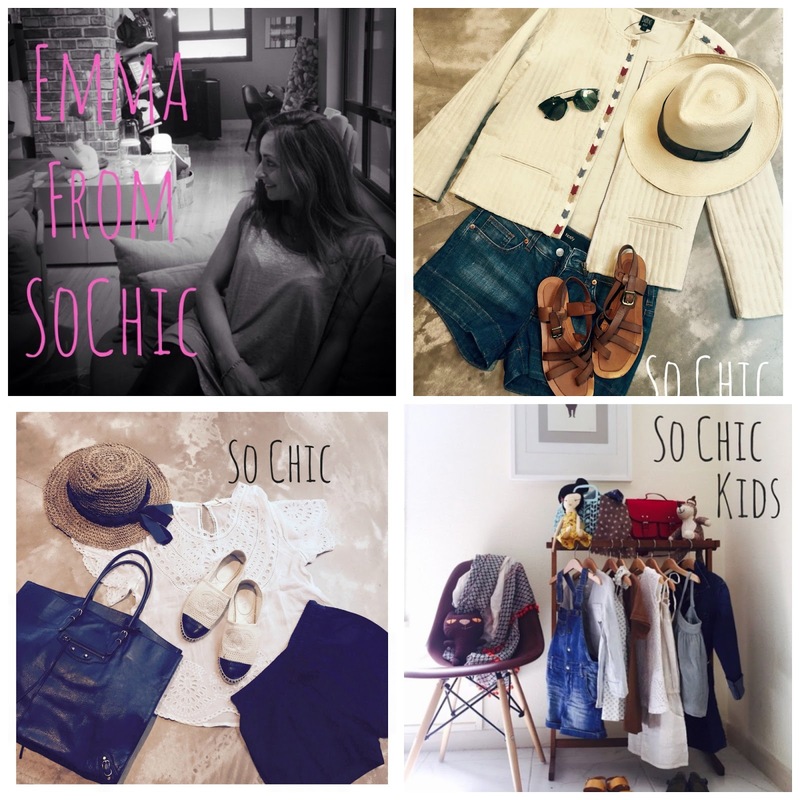 Since all pre-loved items are hardly worn, in excellent state and carefully selected by Emma and Alex based on the latest fashion trends, everything you will find here is just…so chic! From 8 am till midnight, the Cove will be the hottest place in the city, accommodating all fashionistas in Dubai. French high end beauty brands like Caudalie, Benefit and Sephora will ensure that all visitors of the So Chic pop-up sale will be pampered in the beauty corner. During the entire day, Cove Beach has their kitchen open for breakfast, lunch, dinner and their fabulous bar service. In the evening an excellent DJ will through in some tunes to make it the perfect girls night out. Come down to the Cove, it's gonna be all day party celebrating fashion and beauty! See you there. 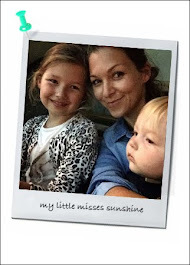 Creative play and Imaginary dress-up - we love !